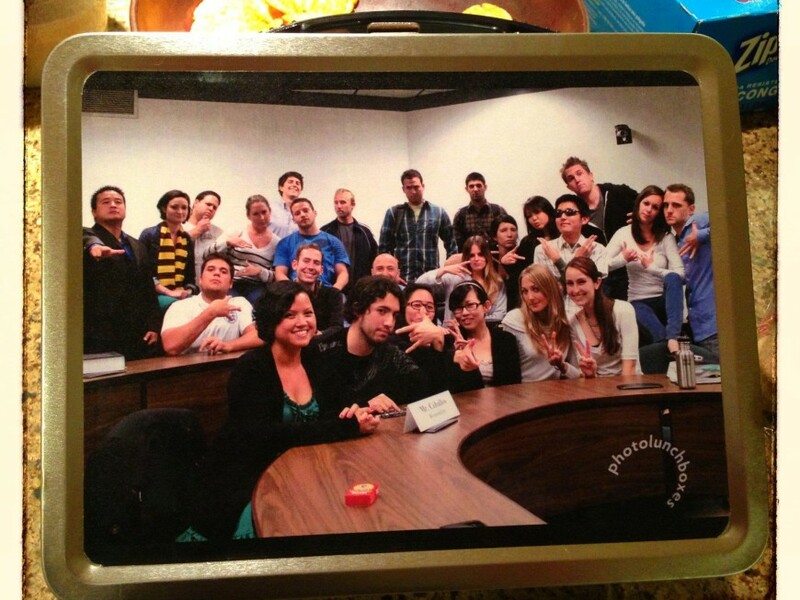 I received this gift from my soon-to-graduate law students in Section 17B who were in my class when they were 1Ls. As a collector of metal lunch boxes, I can say that this one is priceless. 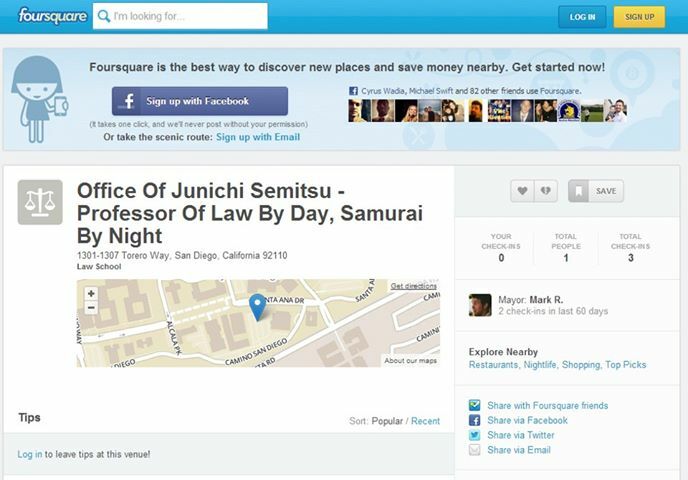 I recently learned that “Office Of Junichi Semitsu – Professor Of Law By Day, Samurai By Night” is a location that one can check into on Foursquare. Thankfully, the keys have yet to be given to the Mayor of my office. Tagged: Cinnabon, hybrids, quotes, racism, thermometer, Trivia, Who Wants To Be A Millionaire?